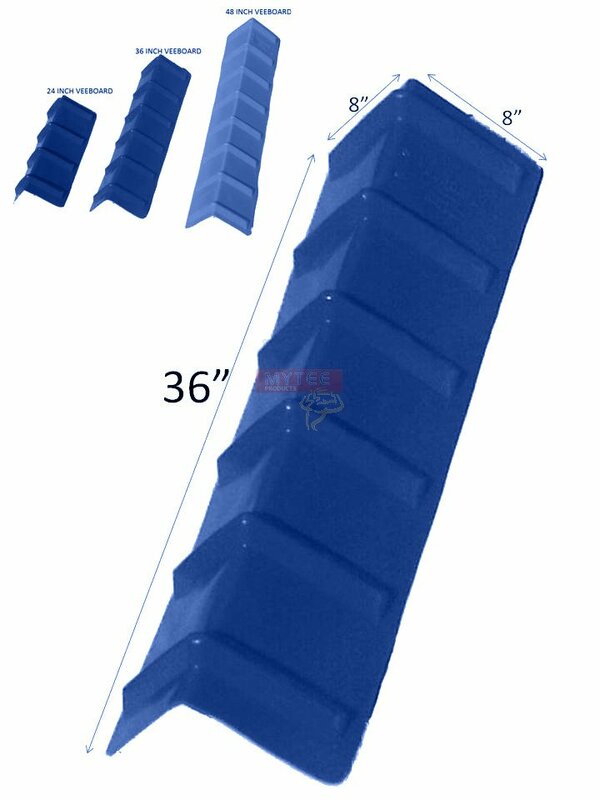 Dimensions: 8" x 8" x 36"
Dimensions:8" x 8" x 36"
Sizes:All V-Style edge protectors that we carry are 8 inches wide on both sides of the central axis. The length of the board varies. The smallest that we carry is 12 inches, then 24 inches, then 36 inches and finally 48 inches. The one you have presently selected is 36 inches in length. They are an improvement over the standard corner protector design. 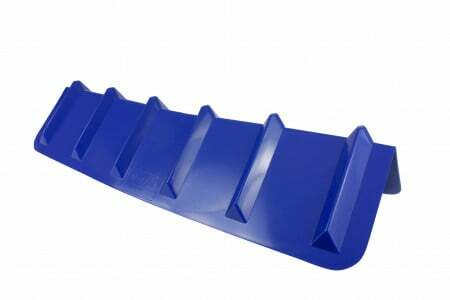 They have a wider span, tougher plastic and come in desired lengths ranging from 12 inches to 48 inches. Veeboards are an important part of cargo protection and the hold-down systems offered by Mytee Products to our valuable customers. We believe that customers who are looking to go the extra distance to secure their load, project a professional image and achieve great safety results should strongly consider Vee Shaped / V edge protectors.